Springtime in Charlotte, NC is beautiful. Especially in the morning! It is still a little cool in the mornings when I start my runs. It always feels good. But now that we have rounded 2nd base for the month of May, that crisp morning air can quickly surrender to warmer temps and humidity. Half way into today’s 5.5 mile run, I am pretty hot. Fortunately, springtime is also when automated sprinkler systems come back to life! Seeing the opportunity, I moved off of the sidewalk for a few yards, just enough to run through the spray for a little cool down. Ahhh, simple pleasures! 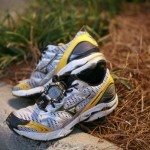 Today I will retire my current pair of Mizuno Waver Rider running shoes (my favorite running shoe). I have logged over 700 miles on these shoes. I am WAY overdue for a new pair. Normally, I switch out every 350 – 400 miles. But these were good, comfortable shoes to run in. So I kept them around for a while. Perhaps, a bit too long. They still have a lot of miles in them for normal everyday activities. So like all of my old running shoes, I’ll donate them. 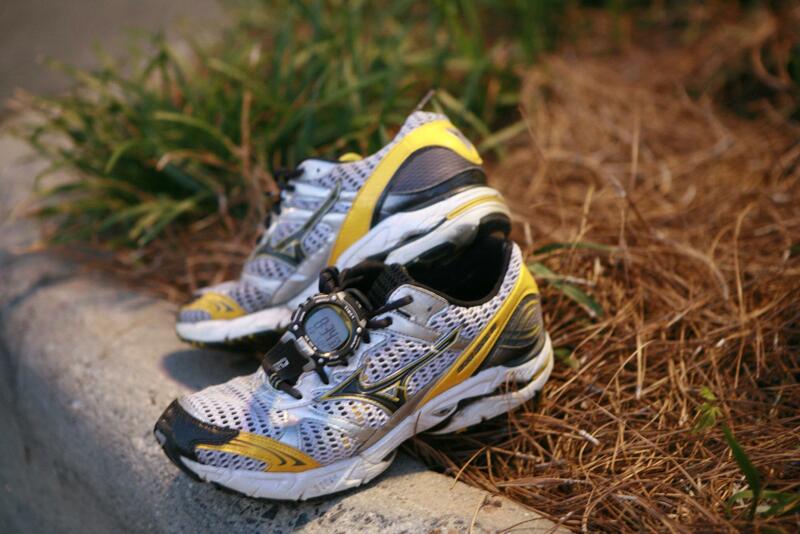 I have been breaking in my new Mizuno’s for the past several days. I am eager to see how the new pair affects my IT Band and Quads. What was on my mind today while running? Work, work, and more work. I have some new projects. So just trying to get my head around the scope of what we are being asked to deliver and anticipate some the problems we will have to solve along the way. By the time I am done running, I have a good check list of things I need to do and discuss over the next few days. I am settling into a first rhythm on this Journey. As I work through my daily A2B To Do List, I am taking a closer look at the “world around me” as I move down my virtual path. I thought it would be fun to share some of the fun or interesting things that I see along the way. Today I ran by the 600 acre Elysian Park and Dodger Stadium. Today is an away game with the Padre’s. So there was not much going on at the stadium. 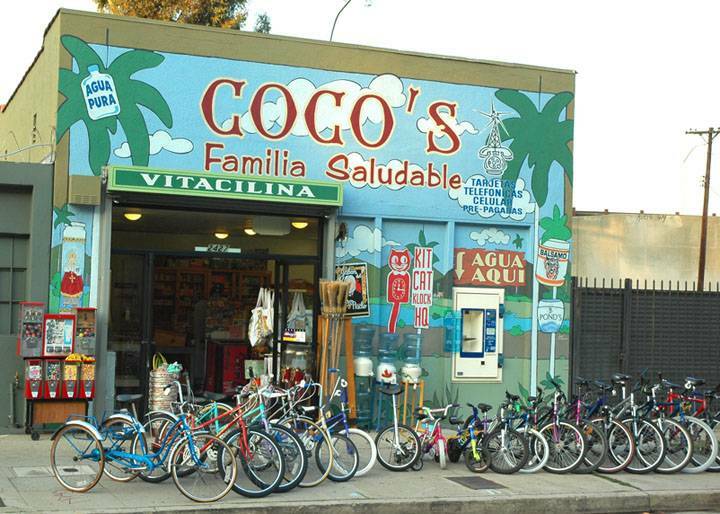 Finishing todays run at 32.8 miles along the current A2B Route, I found myself in front of Coco’s Variety Store on Riverside Drive in LA. Interesting place! 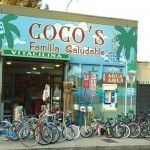 Coco’s Variety’s primary business is bicycles. However they also “sell Japanese figural pencil erasers, used bike parts, old toolboxes, books worth owning, bike pumps, balsa wood gliders, vintage novelty French flags, metric measuring tapes, oilcloth, Park bicycle tools, wicker bike baskets and Dutch bicycle cargo bags for the carting of fresh produce, the transportation of books of French poetry and the rescuing of kittens.” However, they apparently sell neither pancakes nor parakeets. Makes me want to actually stop by. Maybe I should create my own version of a Flat Stanley cutout (a Flat Running Daryl, if you will) and have people take pictures of it in some of these locations. Hmmmm . . . . Note: I am adding a little glossary of words and terms that I use in this blog, i.e., IT Band, Quads, Japanese figural pencil erasers, Flat Stanley, etc. You will find it in the “About A2B” menu. If you find a word or phrase that leaves you scratching your head from a lack of reference and you want me to add it to the glossary, let me know. I will gladly oblige!